MOSCOW, April 15. /TASS/. 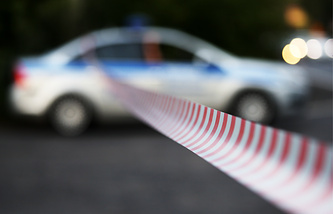 A World War II artillery shell found near a school building in western Moscow has been removed for disposal, the emergency services told TASS on Monday. "The military commandant’s office personnel evacuated the shell for subsequent elimination at a test site," the source said. Nearly 200 children and 30 teachers had to be evacuated from a sports school building after an unexploded artillery shell was unearthed nearby.